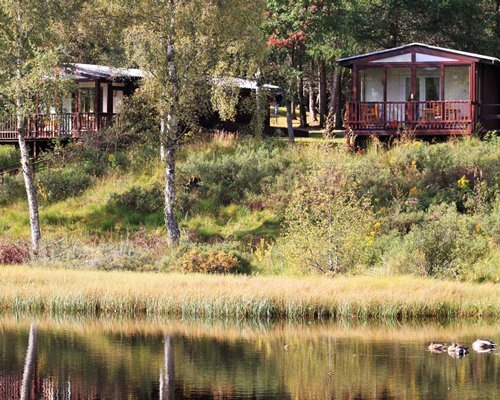 The Scandinavian-style pine chalets at Macdonald Lochanhully Resort, is an enchanting destination for a relaxing retreat. Enjoy a swim in the indoor pool, and wind down in the sauna and steam room. 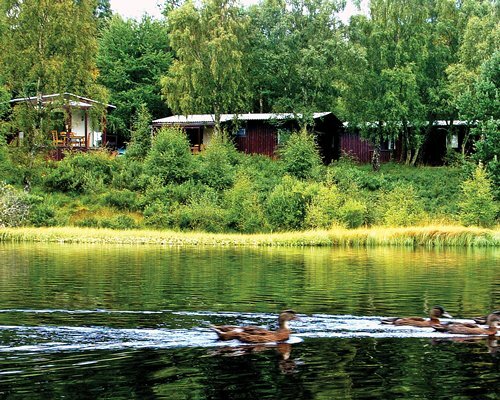 On site, guests can play pool in the games room, workout in the gym, play tennis, go for a bicycle ride in the peaceful countryside, or take a boat out on the lake for trout fly fishing. End the day in the resort's restaurant, and enjoy the family-friendly live entertainment. 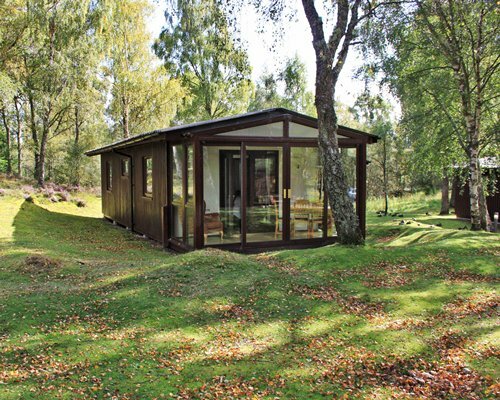 These cozy chalets invite guests to relax at the end of the day. 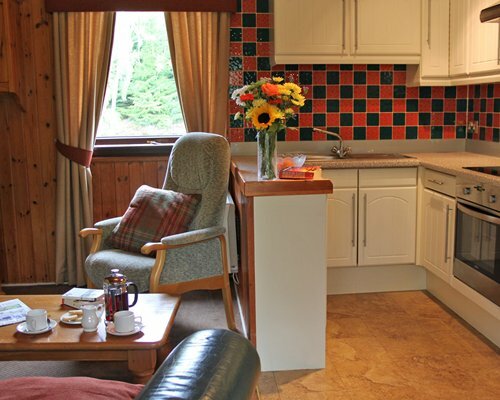 All units are furnished with mini-kitchens, including refrigerators with a small ice box in the fridge and microwave ovens.One-bedroom units sleep four guests.The one bedroom units has a double bed in the room and a double sofa bed in living area. 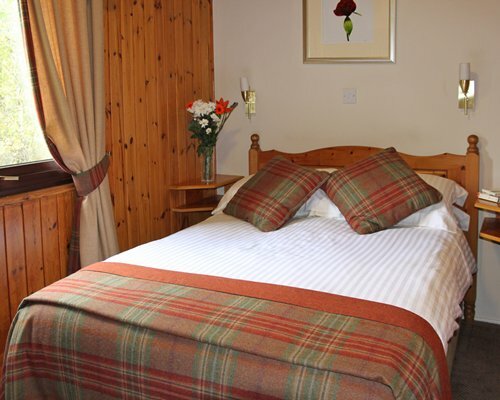 Two-bedroom units sleep up to six guests,the units are small, they have one small double bedroom and the second small bedroom has a trundle bed (single bed with a pull out bed underneath), plus a double sofa bed in the living area. Pets are welcome at this property-max 2 dogs per unit. Electricity is payable upon departure. 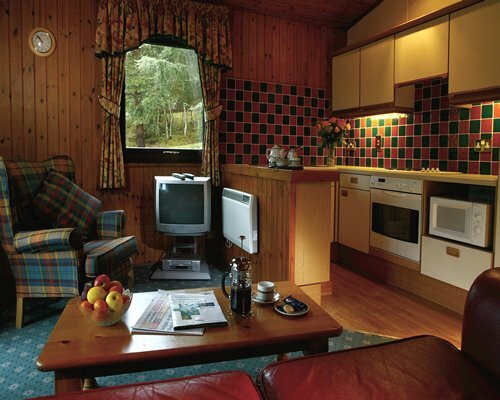 Macdonald Lochanhully Woodland Club Resort, offers the perfect getaway. 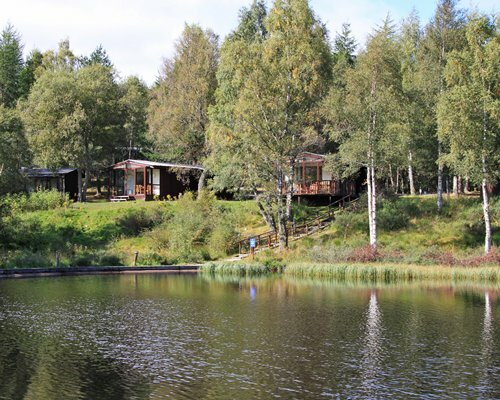 With its own trout lake, the resort is conveniently located near the Caringorm ski slopes. 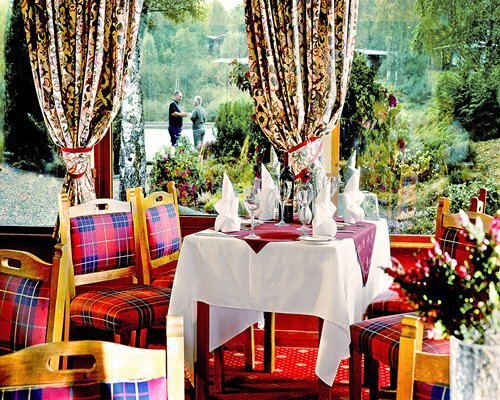 Enjoy 9 holes of golf at Macdonald Dalfaber or 18 holes at Spey Valley Championship Golf Course near Dalfaber, where special rates are available. Enjoy a day of horseback riding, strolling the beach, waterskiing or windsurfing in the warmer weather. Ride the Spey Valley Steam Railway for a glorious view of the countryside or spend a day cross-country or downhill skiing, about 12 miles (19 km) away, in colder temperatures. Visitors will find upscale shopping venues at Highland, just a mile (1.6 km) away, including Burberry and Ralph Lauren. NEAREST AIRPORT: Inverness (20 miles). BY ROAD: Take A96 towards Inverness, join A9 southbound, signposted Perth, approximately 22 miles on exit at the junction signposted Carrbridge. Take 1st turning on left just inside Carrbridge and join the A938 towards Grantown on Spey. Resort is approx. 1/4 mile along on left- hand-side. BY TRAIN: To Aviemore or Carrbridge. Please note there are no taxis or telephones at Carrbridge station.